A few weeks ago, my best friend Lauren Koval and I set out on a road trip from Tuscon, Arizona to Santa Fe, New Mexico with a stop in White Sands National Monument for a mini photoshoot. Shortly after we completed out trip, Travel New Mexico reached out to us to do a joint Instagram takeover to share our trip. Exciting! 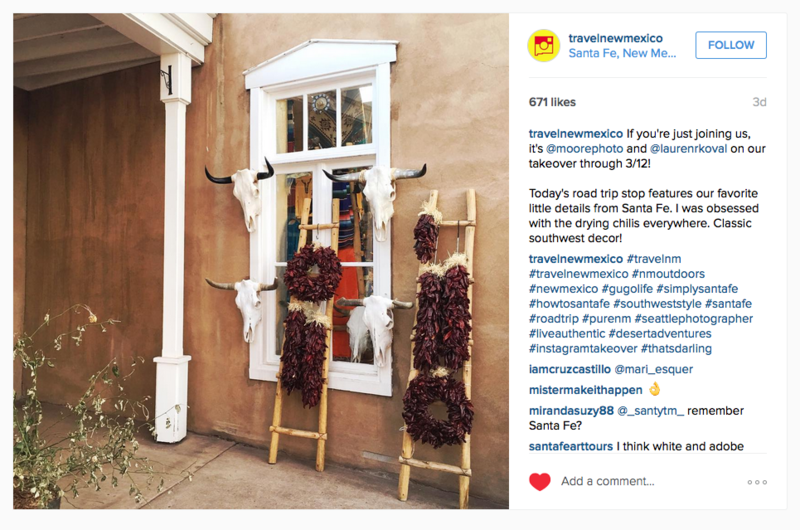 First of all, I think it’s so rad that New Mexico has it’s own social media account (amazing!) – and secondly, we were both so honored to have the opportunity to share our complete travels through Travel New Mexico. Over the course of four days, Lauren and I alternated sharing our favorite iPhone shots from our trip and posting them to the account. It was such a fun experience and I loved getting to share so many additional photos from our trip! 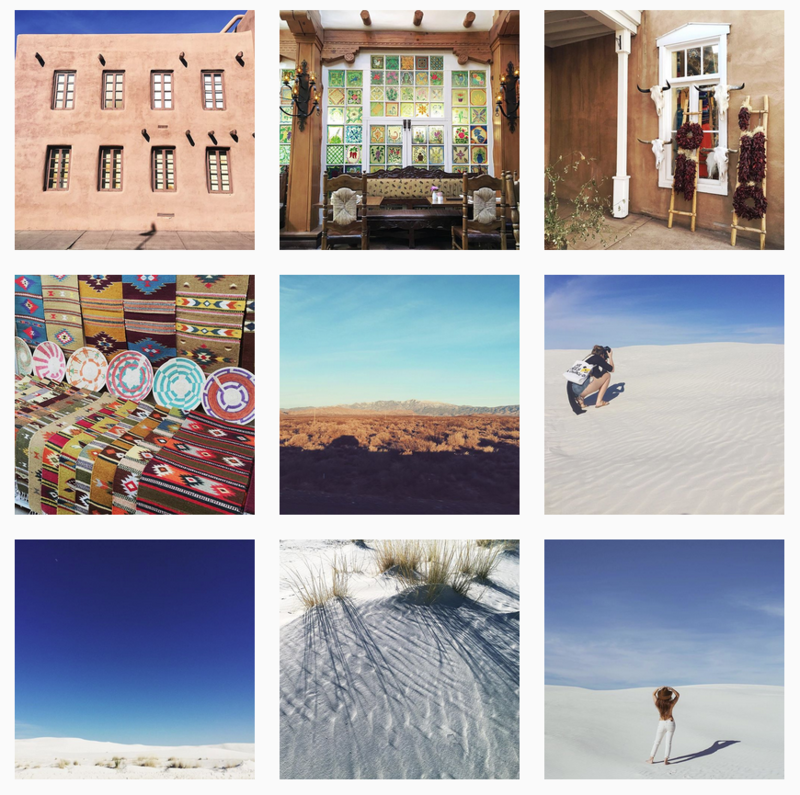 To see our complete takeover, be sure to follow Travel New Mexico to check out all the photos we posted. We started in White Sands, shared our favorite Santa Fe restaurants, shops and town details, and ended with our Kasha-Katuwe Tent Rock hike. I hope you feel as inspired as we were – and sometime in the future get to visit these beautiful places first hand. I’m already dreaming up ways to head back to White Sands as soon as possible – as the beauty there is just incredible. To reach out about having me (or us) do a takeover for your brand or account – please get in touch via the contact form on my website. We would love to share our images, or create new ones to share. 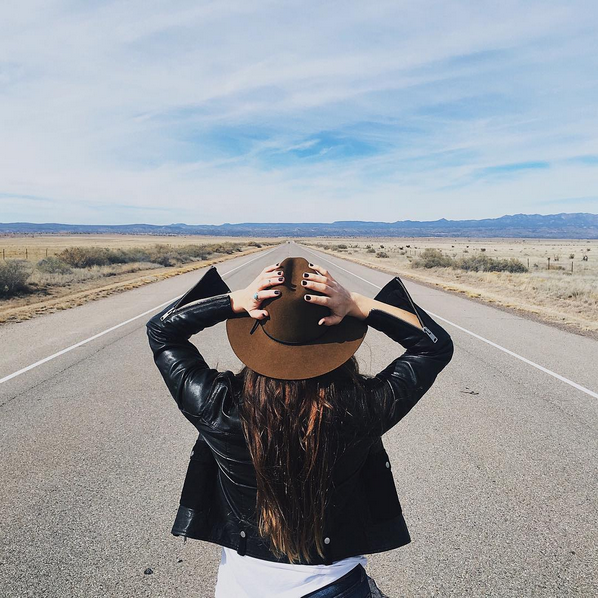 I hope to do more Takeovers in the future – as I love to travel and explore new places! Don’t forget to follow us on Instagram and say hello!